NYC Health & Hospitals and UnitedHealthcare are heading to arbitration over $11.5 million in denied inpatient medical claims, the nation's largest public health system said Tuesday. The majority of the denied claims submitted between July 1, 2014, and Dec. 31, 2017, were for emergency department visits involving patients covered by UnitedHealthcare's Medicaid program and Medicare plan, a spokeswoman for the health system said. None of the denials stemmed from behavioral health, ambulatory care or other services, she said. NYC Health & Hospitals is pursuing arbitration, as required by its contract with UnitedHealthcare, to recover the millions of dollars in what it considers to be wrongfully denied claims. "For too long, NYC Health + Hospitals has been leaving money on the table and subsidizing private insurance companies by letting denials slide," system President and CEO Dr. Mitchell Katz said in a statement. "Our clinicians provide high-quality care and advance our mission every day. It's our responsibility to stand up for them and challenge wrongful denials, as all health systems should." The spokeswoman said NYC Health & Hospitals' contract with UnitedHealthcare does not allow the insurer to deny claims after the fact "by second-guessing whether the care our doctors and nurses provided was 'medically necessary.' But in these cases they chose to substitute their medical judgment over that of our doctors and nurses." 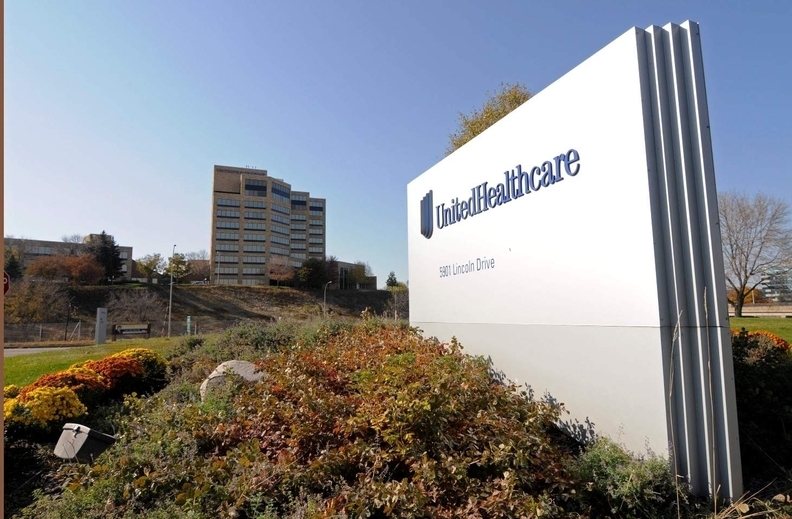 A UnitedHealth spokesman said in a statement that the insurer disagrees with NYC Health & Hospitals' view of the denied claims, but arbitration will resolve the dispute. The New York City Law Department will arbitrate the dispute in Manhattan this summer, NYC Health & Hospitals said. The 11-hospital system also said it is reviewing its other managed-care contracts and denials and may pursue arbitration against other insurers to collect revenue. NYC Health & Hospitals' quest to recoup denied payment comes as some health insurance companies have tightened the reins on what they will or will not pay for, particularly when it comes to emergency care. Minnetonka, Minn.-based UnitedHealthcare is one of those insurers. It implemented a new payment policy nationwide on March 1 aimed at reducing its emergency department claims costs. Under the policy, the insurer reviews and adjusts facility claims for the most severe and costly ED visits for patients enrolled in its commercial and Medicare Advantage plans. The payment policy is expected to squeeze some hospitals' revenue. Indianapolis-based Anthem also has taken aim at ED costs by denying coverage for visits by commercially insured patients that it later determined were not emergencies. The goal of its policy is to deter patients with low-acuity conditions from seeking care at ED, but hospitals have argued that such a program harms patients who may be tempted to skip care in an emergency for fear of receiving a big medical bill. Several hospitals sued Anthem over its ED visit reimbursement program, along with another reimbursement policy related to imaging services. ED visits are in insurers' crosshairs because care delivered in an emergency room is much more expensive than at the primary-care doctor's office or a retail clinic. Moreover, the number of ED visits per year has steadily risen over time, reaching 141.4 million in 2014, up 8.4% from 130.4 million in 2013, according to the latest data from the Centers for Disease Control and Prevention. The severity of ER visits and the price tag of the average visit has increased as well. Some ED visits are avoidable. U.S. healthcare spending continues to climb, topping $3.2 trillion in 2015, or nearly $10,000 per person, according to the CMS. Emergency department spending is a small piece of that, and the vast majority of visits were for patients with urgent symptoms, the CDC found. Only 4.3% of ED visits were because of non-urgent symptoms in 2014. NYC Health and Hospital's Katz took over as CEO in January and is charged with fixing the system's financial woes. The system has struggled with understaffing and decreased hospital discharges and outpatient visits. Katz also said recently that the hospital system has lost significant revenue by not properly coding and billing visits.